Our team of quality analysts strictly tests each product against varied quality parameters ensuring zero defects at buyer's end. We are a quality driven firm and thus make sure that the material used for manufacturing complies with high-quality standards. As a result of which, the finished products have long service life. 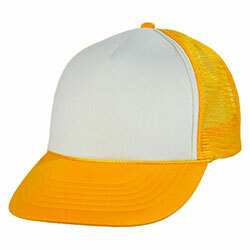 WB-2206 Casual Cap has a highly durable fabric with fine stitching and a high durability. 1-Cotton/polyesster fabric in 200gsm or 250 gsm. 3-Can be produced depending upon the customer choice.